Frank Lloyd Wright once said something like… a doctor can bury his mistakes, but an architect can only plant vines. I’m not responsible for the ugly fence. My former neighbors were. I have no idea why they felt compelled to build a fence that doesn’t match any other fence in the neighborhood. But I liked them. They were nice people. I planted vines. 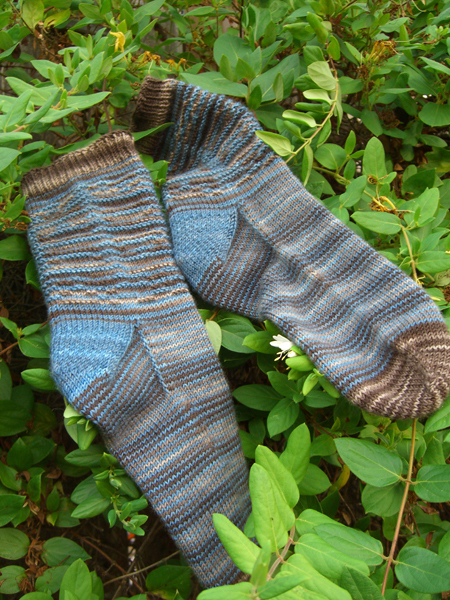 So, the Mudstone socks are finished. I’m OK with how they came out. They’re not my favorite pair of socks. But I like the colors and they fit very well. I wasn’t sure what I wanted to do at the top. After futzing around for awhile, I finally just did a 1×1 rib using the Mudslide color, topped with a crochet bind-off. Here is the shadow knitting revealed in all its hard-to-read glory. Use your imagination just a little here, please. Tilt your head slightly to the right. 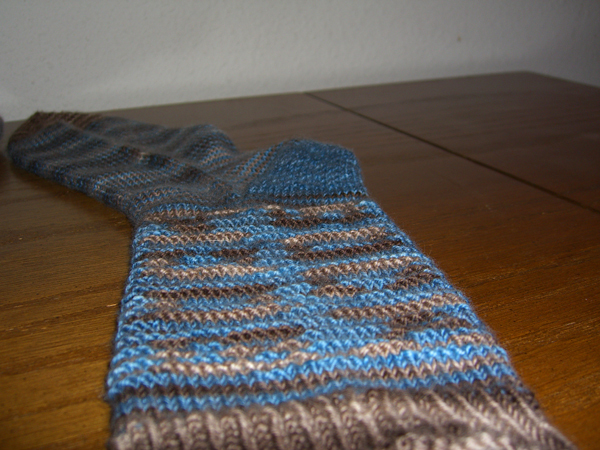 Starting from just above the heel and going up the right side, it says SOCK. Now tilt your head slightly to the left. Starting at the top and going down the left side, it says SOCK. See it? Do you? Click on the pic for the biggy version. Yeah… not that successful, eh? When they’re on, I can’t read it at all. Oh well. There won’t be much bloggage for the next few days. Remember how desserts is stressed spelled backwards? Yeah, well… I’ve been hitting the desserts pretty hard lately. Victoria also has the advantage of not being terribly far away from home, and at the end of a ride on my two favorite forms of transportation: trains and boats. I could drive to Victoria. But why do that when I can take a train and a catamaran? If I can find an internet cafe in Victoria, I’ll check in with y’all. If not, I won’t be gone very long. Just a short out-of-town break. #1 Son isn’t going with me. He has to work. And it’s good that he has a job. But I’m sorry he can’t go. 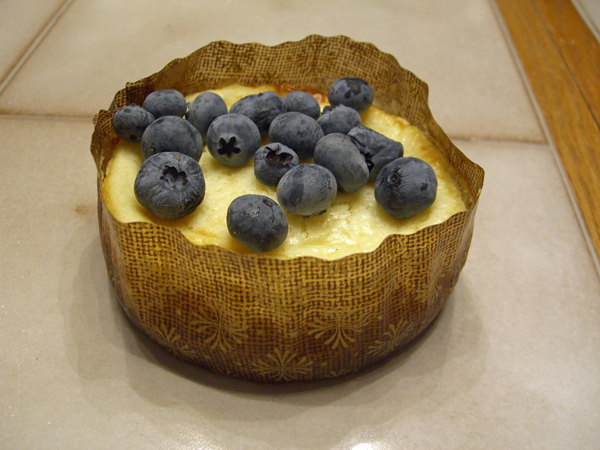 The blueberry cheesecake tartlet is courtesy of the bakery where #1 Son is employed. I really felt like I should have presented it in a somewhat more arty fashion, rather than just tossing it down on the table. But in the end I just took a picture and then ate it. Yeah… it was that good.